The Technology Code of Practice (TCoP) is a set of criteria to help government design, build and buy better technology. The TCoP was originally written for central government departments, but in July 2018, it was included in the Local Digital Declaration. This declaration is a set of commitments by local authorities, public sector bodies, and government departments aiming to improve public services. We (the GDS Technology Policy team) wanted to make sure the TCoP criteria were useful to everyone who signed up to the local digital declaration, from local authorities to central government. We also wanted to uncover any challenges which were unique to local authorities so we could adapt the TCoP. After speaking to digital and technology representatives from 10 local authorities, we found that when buying, building and reusing technology, local authorities were already mostly following practices in line with the TCoP. Some local authorities commented it was reassuring to confirm their practices were on the correct track. This gave our team confidence that we would not have to create a separate code of practice for local authorities. As part of the Local Digital Declaration, the TCoP plays an important role in influencing stakeholder IT decisions. However, there were still a few important findings from the research we needed to address within the TCoP. Some participants identified the headline of point 5, Use cloud first, as being inconsistent with their approach. Some saw this point as an aspiration but not necessarily achievable now. Some suggested ‘cloud appropriate’ or ‘cloud agnostic’ better described their hybrid approach, as cloud may not always appear to represent the best value for their organisation. However, during our ongoing work on Use cloud first, one of the most important issues we’re working on is security and the potential impact of using legacy on-premises servers. If a local authority is operating on an existing and potentially vulnerable system due to its age, lack of patching and lack of support available, this could expose them to cyber attacks. The costs to fix a cyber attack may outweigh the costs of moving to a more secure cloud approach. Further advice on using cloud will be available over the coming months. If a local authority would like further advice on this, please contact us. We have added guidance on emerging technology to the TCoP and are working on updating the wording in ‘Share and reuse technology’. With over 400 local authorities across the UK, there’s a lot of variety in how different organisations deliver and support services. From our sample, local authorities are more likely than central government to buy their technology than build it. This can make it challenging for local authorities to customise technology to follow the TCoP. The research identified changes we need to make for the TCoP to be more helpful for local authorities while keeping it relevant for central government. Local authorities do not have to follow the TCoP but we are making these changes to better support local authorities when they are designing, building and buying technology. In the longer term, we’ll create more content to meet the needs of local authorities. In the meantime, we’re here to advise how to use the TCoP to help government design, build and buy better technology. We’ll attend some local authority roadshows from May to October to talk about the TCoP and how local authorities can use it as best practice. We’ll also ask local authorities for more feedback, and whether there are any specific areas where we can focus our support. 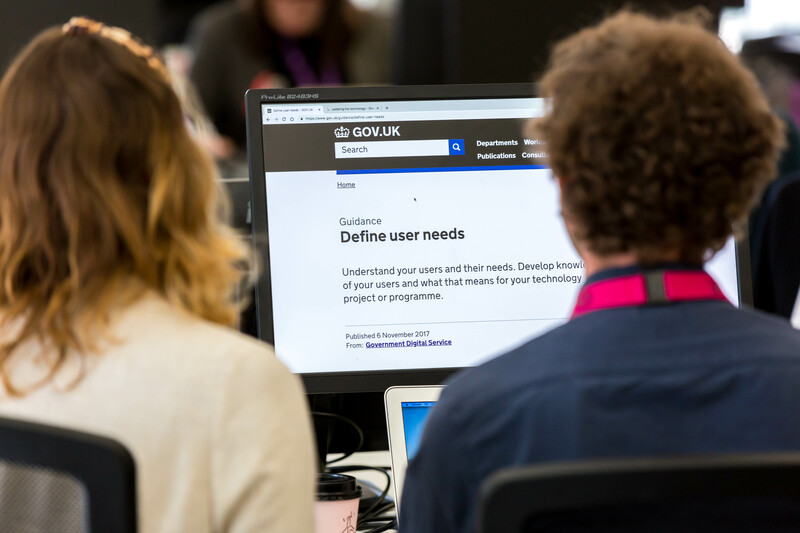 We’ll gather case studies from local authorities about their experiences to share best practice and will do more user research to improve the content and help more people in the public sector design, build and buy better technology. If you want to learn more about how the TCoP affects central and local government, get in touch. Leave us a comment below or email technology-policy@digital.cabinet-office.gov.uk. By doing a lot more research into digital & technology in Local Government (including those not signed up to the LDD) you'll have a better understanding of where Local Government is at in terms of following the practice outlined in the TCoP.